The author the of short story collection Glass Beads speaks with Shelagh Rogers about how she tried to encapsulate the modern First Nations experience. 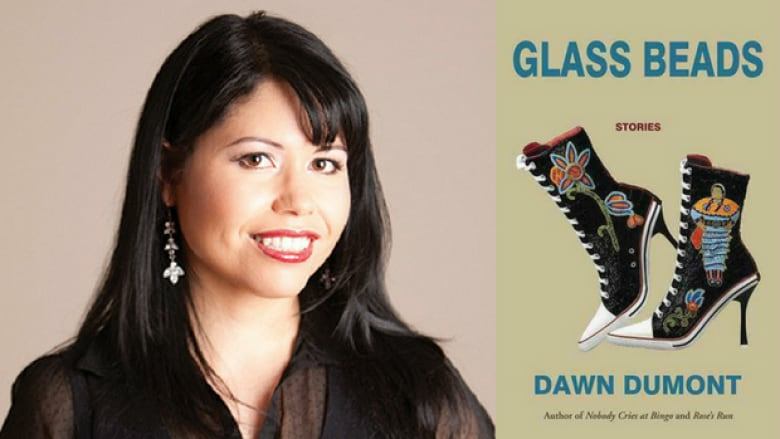 Dawn Dumont's book Glass Beads is a collection of short stories about four friends trying to live their lives off reserve while they wrestle with everything from identity, racism and cultural disinheritance to addiction, friendships and growing up. "They're an amalgamation of people that I've met throughout my life. You have those eager Type A people, who are the law students, the ambitious politician types. Then you have the ones who are maintaining the connection to family, and the ones who are into spirituality. I think each of these characters occupies those roles, but they also dance in and amongst the other roles as well. The bond that these four characters have is what keeps them alive and thriving." "They are all so eager to get off the reserve and experience the life that they see on TV and in books and magazines. But that world is not exactly welcoming to them. After being off the reserve, they realize that they can make a difference in their home communities. They know they have something to bring home, and that they can change things for the better." Dawn Dumont's comments have been edited and condensed.